MIB coin is a Mobile Mining based Blockchain that has constructed an ecosystem that minimizes the maintenance of Blockchain Network. 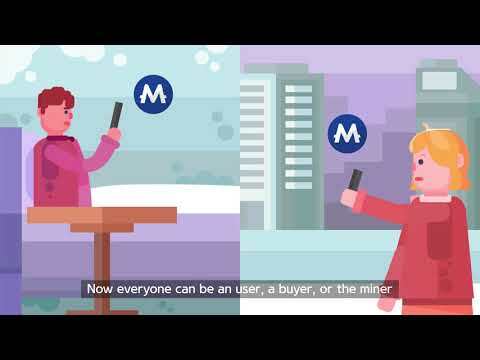 At this juncture, we would like to present MIB Coin, which will provide opportunities to participate in mining and to connect with more businesses as 'whoever, wherever and whenever' using mobile device via an innovative SmartX blockchain platform. MIB Coin's blockchain network is maintained by a smartphone hash. Assuming a smartphone is working 24 hours a day for a year, it will use approximately $10 worth of electricity. Compared to the power consumption of the existing blockchain miners, this is a 99.24% improvement, offering greater eco-friendliness, lower cost and higher accessibility. This solution will improve mining participation in areas with unstable power production, such as Central Asia, Africa, South America, and South East Asia. As the success and growth of blockchain-based cryptocurrency have proven, the future will witness a decentralized, efficient, and comprehensive global ecosystem. This solution will improve mining participation in areas with unstable power production, such as Central Asia, Africa, South America, and South East Asia. Even in countries where extensive mining is taking place, the SmartX blockchain network can bring a significant reduction in the extremely high power consumption rate that often causes social problems, resulting in social cost savings needed to maintain the blockchain. The characteristics of the MIB Coin ecosystem are as follows. First, mining no longer requires expensive hardware, CPU, a graphics card, or dedicated machines (ASIC or GPU). More significant opportunities to participate in mining are given to more countries and people by using smartphones which are already available all over the world in billions. This means overcoming the technical limitations of moving towards universal ownership and it is the starting point as well as a necessary and sufficient condition for cryptocurrency to indeed function as a currency. Through the substitution of the coin market preoccupied with certain countries with a smart and generalized mobile environment, the general population distributed in over 100 nations can now become miners and users. This will create a blockchain that matches its original aim as a distributed ledger and hence, its value shall be recognized. Second, the problem of polarization characterized by the concentration on specialized mining firms or specific nations can be resolved by distributed mining. Currently, mining activities are heavily skewed towards specific countries only, and such polarization reduces the functionality of blockchain as well as its value as a currency. If the mining cost increases and the payback period of investments is further extended, this means that the maintenance cost of blockchain is on the rise and may result in its collapse in the long term. Therefore, a better technological solution needs to be provided to maintain a sustainable network. Third, mining trend changes are focused on eco-friendly, low-energy based methods with plans for social contribution. Here is a simple comparison of the power consumption required for mining. S9, a miner by Bitmain requires 1,350–1,500 W, and 8-Way GPU by Supermicro requires 800–1,300 W. Conversely, a smartphone requires only 7–10 W resulting in a 99.24% savings, approximately. It is no exaggeration to say that a mobile environment would offer the lowest power consumption among all existing coin mining environments. Fourth, the SmartX Blockchain Network (SBN) can maintain the network with a low cost. Some of the features possible with SBN are: issuing a functional token through our platform, a smart contract that signs contracts between two or more parties and performs a verification, a mobile money transfer that can withdraw cash from an ATM and transfer money via smartphones, access to digital content like games, music and movies, and booking tickets at over 200 branches. SBN's opportunities and future value are a result of the following features: it is equipped with functionality both as a blockchain platform and a subsidiary currency, can create and expand an ecosystem, share its system and offer a low-cost, highly efficient network. This is MIB Coin's vision. Revise your WP and materials first and I may revisit my rating. Why would projects like this even exist still. Everything is either missing or wrong. From whitepaper to MVP. A canonical scam alert project for me. The whitepaper is well done and detailed, you can find it on the official website. The roadmap is well structured and sustainable. Mobile applications are already available, demonstrating that the team is really working. To make the project a success you need a good marketing strategy and some improvements. For example, you need to add LinkedIn profiles for all team members. Only some members have linkedin profiles, and most of them seem fake. Mining pool website leads to nothing. Some random pictures like Coinschedule's without mention exactly what this is.